2019 Greater Toronto Area Annual Meeting - TO CANADIAN SALARIED NON-UNION RETIREES AND SURVIVING SPOUSES OF CHRYSLER CANADA NEW MEMBERS AND SPOUSES ARE WELCOME! 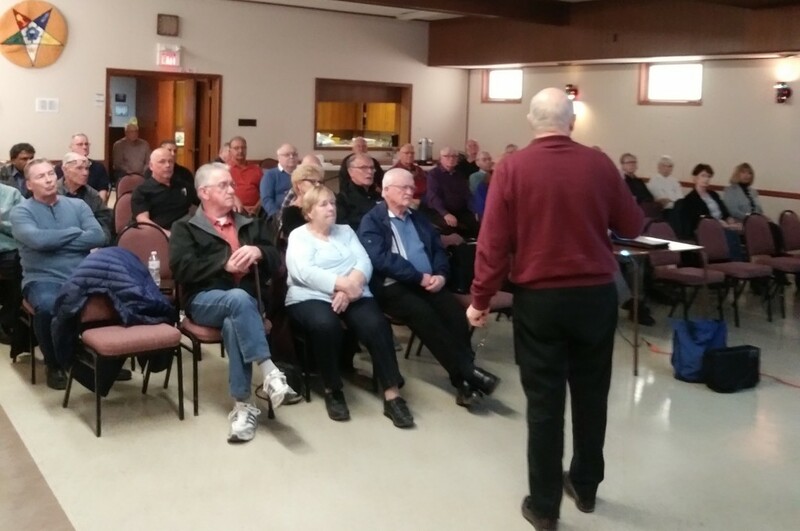 CCRETIREES ORGANIZATION is holding a General Meeting, which includes important information for all Chrysler Canada salaried non-union retirees and surviving spouses. FRIDAY, APRIL 5th, 2019 NOON – 2:00 P.M. Georgetown Masonic Temple 12 Lindsay Court Georgetown, Ontario Directions: QEW or 401 to Trafalgar Road North Trafalgar Road N to Lindsay Court (1.5km north of Maple Ave Georgetown) Agenda: Report on Pension Fund Status Organizational Overview Objectives & Progress Report Question & Answer Session Complimentary coffee and Pizza Please RSVP “ccretirees.org@gmail.com” JOIN US! HELP US HELP YOU…YOUR PARTICIPATION MATTERS!